Free bus passes encourage the over-60s to be more physically active, whether they are poor or wealthy, say UK researchers. Free bus travel for over-60s in England was introduced in 2006 but there is pressure for the scheme to be scrapped. In a study, in the American Journal of Public Health, researchers analysed data on the travel habits of 16,900 people over four years. They say the scheme "may offer value for money" among older people. The Imperial College London study examined data from the National Travel Survey from 2005, the year before free bus passes were introduced, until 2008. They looked at the travel diaries of 11,218 people with a free bus pass and 5,693 without a pass. The percentage of respondents with a free bus pass increased from 56.8% to 74.7% between 2005 and 2008. Over the same period there was an increase in the percentage of bus pass holders walking three or more times a week and the study found that these people were more likely to undertake any 'active travel' - which was defined as walking, cycling or using public transport. After analysing different sub-groups of bus pass holders, the study found that women over the age of 70 and living in London or in urban areas were significantly more likely to use buses and walk three or more times a week than those without bus passes. 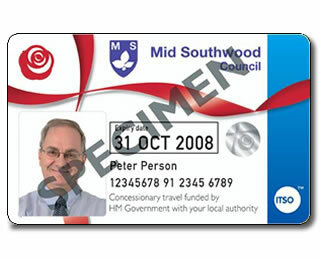 Free bus passes for people aged 60 years and over were introduced in England in 2006. They entitle holders to free local bus travel after 09.30 on weekdays and all day on weekends and public holidays. However, pressures on public spending may mean that the free bus travel scheme, which costs £1.1bn a year, could be ended, or bus passes could become means-tested. Sophie Coronini-Cronberg, who led the study from the School of Public Health at Imperial College London, said the public health benefits of the scheme should be taken in to consideration when deciding its future. "Although the costs of the scheme are considerable, it may offer value for money as it seems to promote physical activity among older people, thereby helping to reduce inactivity-related mortality and morbidity." The study found that the health benefits of the policy could be maximized by looking at other barriers to public transport use such as "poor access and inconvenience, ease of car use, and poor pedestrian access of neighbourhoods". Although the number of people with free bus passes has increased since 2006, the study found a reduction in overall bus use and walking. This suggests that there is still a downward trend in physical activity and public transport use among people with free bus passes and those without.